I bet everyone has seen this video by now of the "crazy" Japanese street photographers who crowd around fashion editors at Paris Fashion Week and take their photos. Street fashion photography, or "Street Snaps" as they are called in Japan are EVERYWHERE. In the west we know all about FRUiTS magazine, but there is also STREET, TUNE, Kera and about 10 other magazines solely devoted to street snaps! Then there are the other regular fashion magazines that have a minimum of 10 pages devoted to street snaps. 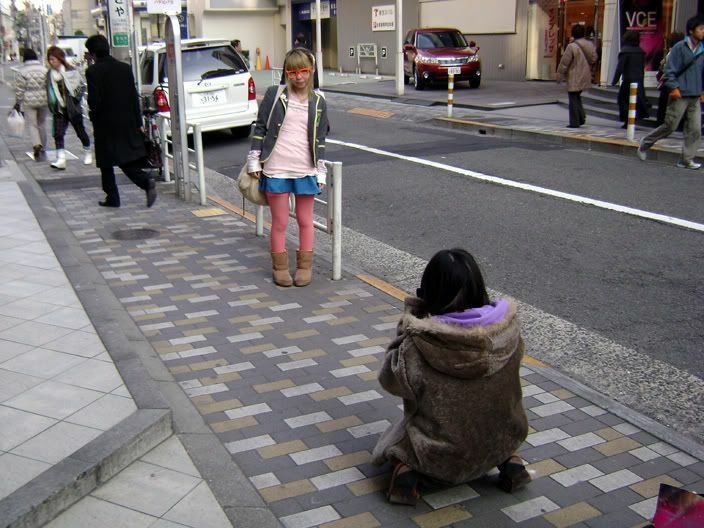 So Japan is crazy for street fashion photography. On a Sunday in Harajuku all the photographers hang around down Omotesando Dori waiting for the right person to come past (which isn't so hard in Tokyo, everyone looks amazing!) I am lucky enough to have met Daisuke from Dropsnap, Rei Shitto from STYLE from TOKYO (formally from FRUiTS magazine), the guy from Ridsnap.and of course Gallermic, who I lived with, from The Fashion Ramone (which is over for now) Every party I went to on my recent trip had about 10-15 street snap photographers in attendance. It's crazy but really its the future. I am slowly seeing the trend emerge here, and of course it is everywhere online. 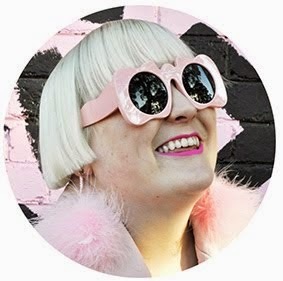 I have had 2 Australian fashion editors tell me street fashion photography is dead, but I believe it's only just the begining. Anyway my lovely friend Tavuchi, whose house we stayed at last month, is finally in Fruits magazine. Its the photo I witnessed being taken and I have been waiting and waiting for it to come out. Pretty cool eh? My 16 year old self who first bought FRUiTS magazine would be so excited. (although it would be better if I was actually in the magazine, but I looked pretty stupid that day) I actually first bought FRUiTS magazine at Genki which is now sadly closing. Where will I get my Japan Kawaii fix now? Ohh I love that blazer. I think street fashion is so much more interesting than seeing styled photos in magazines. Esp the mainstreet mags. I get the impression that people in Australia are either 'too cool' for street fashion photos or don't want a photo of themselves on the net for people to criticise their getup - and I've noticed more people in Australia feel the need to leave a negative comment rather than a positive on which is really sad because I think they're the ones killing it here, but clearly they're still looking at it so find some sort of enjoyment out of browsing these images. I love street fashion photos, they're so inspiring. I had a book of images from the 1920's of street fashion photography, so by all means it's not a new thing, we've just been blessed with the internet for an abundance of real fashion fixes, love! Keep up the street fashion photos, street fashion photographers! eeehhh?! isn't that tavuchi from the SPANK! shops? ah, she's so cool!